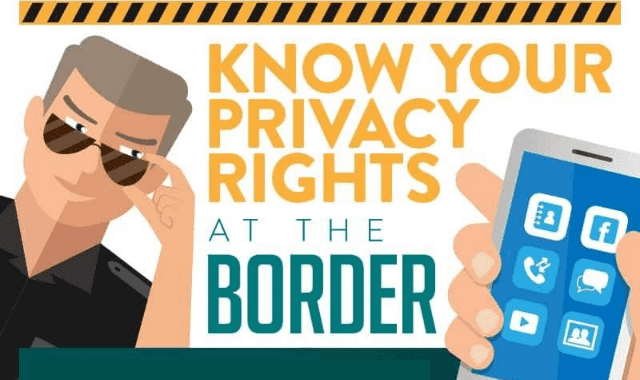 Know Your Privacy Rights at the Border #Infographic ~ Visualistan '+g+"
Today, when most of us travel abroad, we take some kind of device with us - whether it's a smartphone, a laptop, or a tablet. But would you know what your rights are when it comes to the privacy of your digital data? The US government reported a fivefold increase in the number of electronic media searches conducted on their borders last year (rising from 4,764 in 2015 to 23,877 in 2016), which could be violating a number of people's rights. But with these figures only set to increase, now is the time to know your rights when you're traveling around the world.